Sydney has a long history with bonsai, the Illawarra Bonsai Society dates back to the early 1970s, and before that the artform had been practised for many years by enthusiasts and nurserymen alike. Going back to the 1860s a Mr Hideo Kuwahata is the first recorded bonsai artist in the Sydney area, he had a small shop and nursery in the Rocks area, tools and bonsai pots were imported from both Japan and China.Much later than this we have Dorothy & Vita Koreshoff (Russians from Harbin in Manchuria) who opened a nursery in the 1950s and published what is most likely the first book on Bonsai in Sydney and Australia aptly named ‘Bonsai in Australia’. They went on to publish ‘Bonsai with Australian Native Plants’ and to keep it in the family daughter Deborah published ‘Bonsai Art Science’ a little later. And then we have another bonsai pioneer also from Sydney, the late Len Webber who wrote the book ‘From rainforest to bonsai : Bonsai in Australian native plants’. 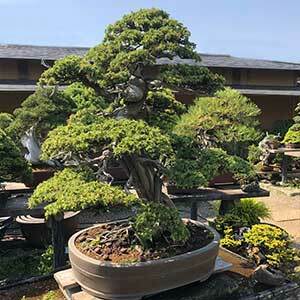 The history of bonsai in Sydney goes back a long way, today the public is served by nurseries who are online, supplying trees, tools, bonsai pots and all of the other accessories required. Bonsai Trees are available for sale at the following nurseries. We specialise in styling large bonsai. Servicing bonsai, starters, pots, tools and moss all available. Online bonsai courses, bonsai resources, tools and general information on all things bonsai. Canberra’s Home Of Award Winning Bonsai. Retail & Wholesale Bonsai Nursery. Sales, Service, Classes, Hire.